Valerie Wood-Gaiger is a 76-year-old great granny living in the Welsh hills. Like many people, she likes to make the most of her older years, enjoying clubs and holidays. Valerie however is also dedicating her time to her personal mission; to close the digital (age) gap. As a proud great granny, Valerie is passionate about making the most of time spent with grandchildren (and great grandchildren). Yet this closeness also highlights the increasing divide between generations – something she thinks has been intensified by the digital revolution. In response, Valerie wants to use this wonderful technology to bring generations together. And so, in 2003, she started Learn with Grandma. Changes in family structure mean fewer grandparents look after grandchildren regularly. We should encourage this and create a love of learning with their grandchildren. Increase respect across all generations. This can work both ways, with old and young learning from each other. Social isolation and loneliness is a growing problem. Technology may cause this, but can also be a source of support. Technology also allows us to share ideas worldwide! In 2014, Valerie discovered the wonders of Facebook, and started sharing her ideas to close the digital age gap. 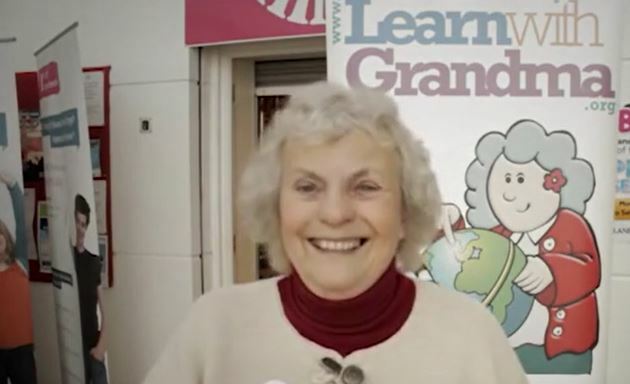 In a very short space of time Learn with Grandma gained strong support on social media, and has now become an international network - with 18 groups in Africa alone (check out these videos detailing Valerie's trip to Uganda). Valerie even presented her ideas at the UNESCO Conference in Paris (2016). 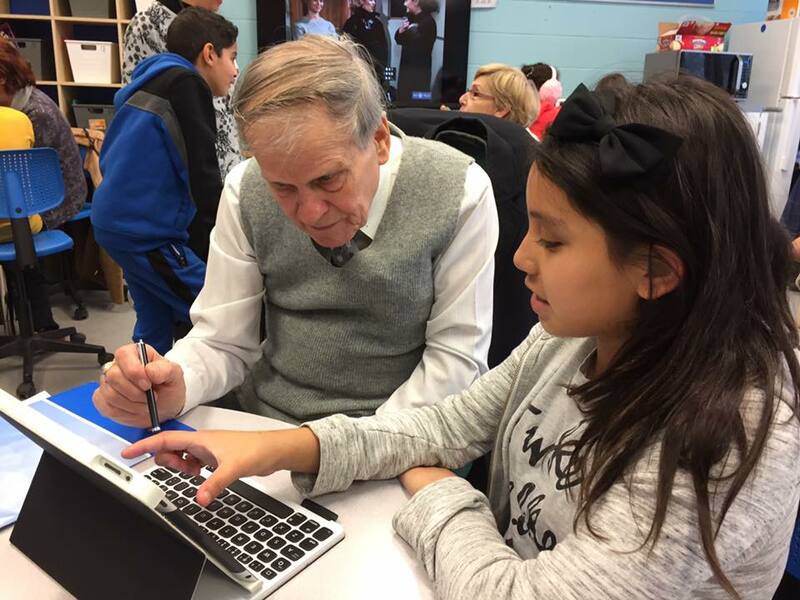 Bit by bit, Valerie is helping to show the advantages of using technology to enhance intergenerational learning and relationships. So: What does Valerie actually do? Learn with Grandma receives no funding, and what Valerie offers people and communities is not financial (though for some groups, their Learn with Grandma project has even generated some income!). Simply put, she shares her ideas of ways to connect generations, utilising technology as a bridge rather than seeing it as a barrier. Her methods are achievable, sustainable, and provide lasting benefits. If you’re not sure what you’ve learnt from your grandparent or your grandchild, or can’t remember the last time you tried to show them something, you’re certainly not alone – but perhaps now is the time to connect and learn together.